DENT MAY – Do Things 12″ (paw tracks) – white vinyl. Download their Grateful Dead bonus track; not available on album. ENABLER – All Hail The Void 12″ (creator/halo of flies/southern lord) – Clear splattered vinyl from Creator Destructor and Halo of Flies mail order; CD I available from Southern Lord. JAILL – Hype/Sure Don’t 7″ (sub pop) – promo 7″ for their upcoming album Traps. Playing at Bryan Street Tavern with the Coathangers and Sealion on August 3rd. On sale now. LOWER DENS – Brains 10″ – (ribbon) – Three song 10″ featuring songs from Nootropics. Download or stream above from sound cloud. MARNIE STERN/NO JOY – Split 7″ (associated electronic recordings) – Two tracks from a split that I didn’t even know existed… “you’re kids are going to love this” by marnie stern and a cover of the 60’s classic “He Cried” by No Joy. 500 copies on black vinyl. Listen here. NO JOY – Negaverse 12″ EP (Mexican summer) – Five song EP from Canadian quartet. Hand numbered out of 750. Listen here. 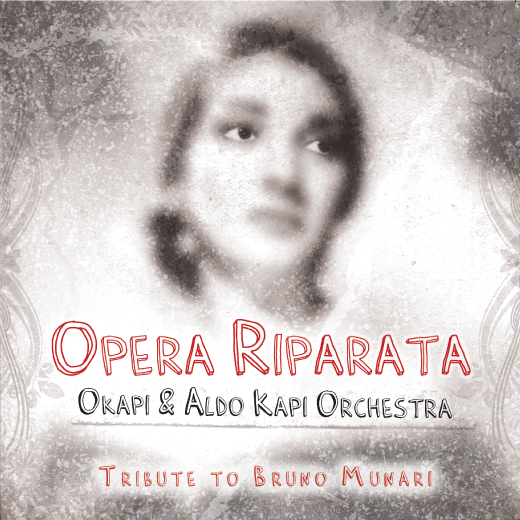 OKAPI & ALDO KAPI ORCHESTRA – Opera Riparata: Tribute To Bruno Munari (illegal art) – Italy’s Okapi (yes, same as the zebra-Esq mammal) latest project is finally coming out and we spoked about it February. V/A – Southern Lord Tour 2 x 7″ – Southern Lord Tour promotional double gatefold 7″ featuring Poison Idea, Burning Love, The Secret, Martyrdod, Enabler and Dallas locals: Power Trip. Order from Sacred Plague Records. This entry was posted on July 1, 2012 at 6:06 pm, filed under News and tagged dent may, enabler, illegal art, jail, lower dens, marnie stern, mexican summer, no joy, southern lord, sub pop.